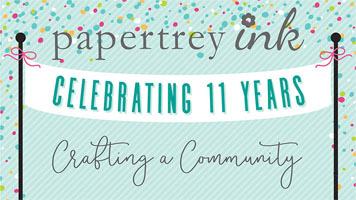 It is February and that means Papertrey Ink is celebrating another birthday – 11 this year!! As I’ve said many times before – I love rainbows! I knew I wanted to do a birthday card (my stash is in need), so I thought a rainbow would be perfect and I have a fun scallop cover plate to carry the theme. I wanted that rainbow to be the focus, so I kept everything else very simple and just white. I really love how white can act as a pop of color! To make my background, I took a large piece of watercolor paper and used kid-grade watercolors to make my color stripes. The oranges offered in my set are very pale, so I did end up using a distress ink for that. I die cut the scallop cover plate from the watercolored panel, and the rest of the panel was kept whole and used to back the die cut. Wow! What a pretty take on the challenge. Just love this card! Wow!!! 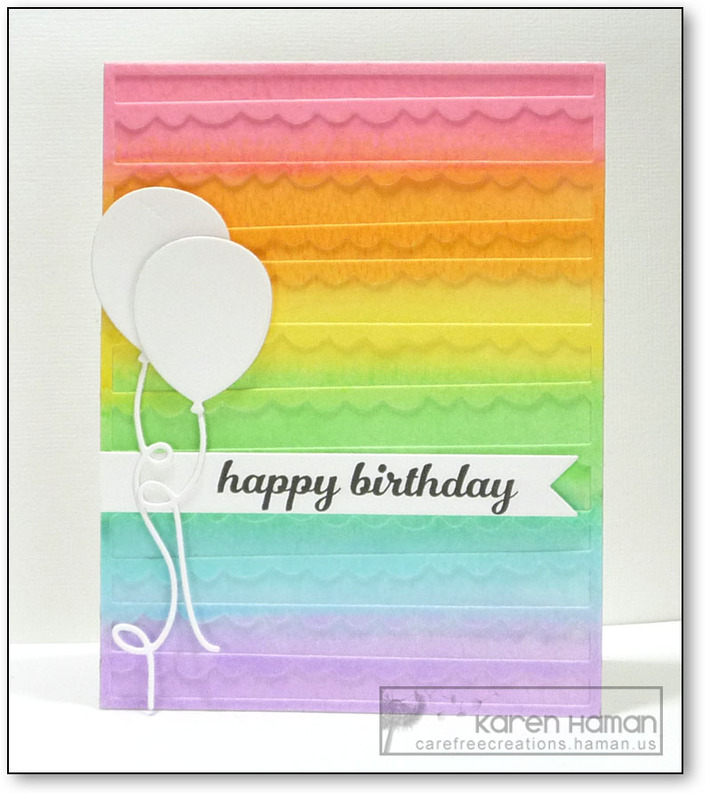 So clever to have white be a pop of color on the rainbow background! I love this!!!!!! Thanks for sharing your gorgeous card!